As you can see, I like the idea of getting a few pretty blouses, rather than opting for the usual plain Tshirt I tend to go for usually. I know I'd probably feel a little more put together with a blouse, it makes you look like you have made more of an effort! I mainly wear black jeans, and all of these would work well paired with them. There's a definite colour scheme going on here too, but nothing is black, so that is okay! Again with dresses there's a bit of a theme going on here... but to me blue and white = Spring and summer! I've picked a selection of different styles that would work well for a multitude of ocassions. Like I've said previously I'm not that great on buying clothes for warmer weather therefore I picked a few styles that would work well here in the UK with our 'summer weather' and abroad where it is a bit hotter! When it comes to my bottom half I pretty much live in a denim or black pair of skinny jeans. However when warmer weather arrives I can get a bit hot in those. I've only picked out a few things from ASOS that have caught my eye as I know ultimately if I can get away with wearing my skinnies then I will! - Also I find shopping for things for the bottom half of my body tough because I'm so out of proportion! I like to wear my converse a lot. But sometimes the occasion may call for a pretty shoe, or something more weather appropriate. I've selected a mix of comfortable flats, and smaller heeled shoes. This girl cannot do massive heels anymore, I look ridiculous trying to walk in them. Despite being 4ft 11, I will never be tall even with heels. I just cant do it! With a smarter shoe I can make a simple jeans and Tshirt outfit look a bit more polished and put together! Now that I have had a good browse of the site, I really am counting down the days till payday so I can at least treat myself to 1 or 2 or 3,4,5..6... items from this list. The bonus with ASOS is that their returns process is really easy, so if I do go crazy and place a big order, I wont have to worry too much about having to send anything back if it ends up not fitting correctly! - More of a reason to slurge no? What takes your fancy from my picks? Have you bought anything from ASOS recently? It's nice to have a bit of retail therapy from time to time! 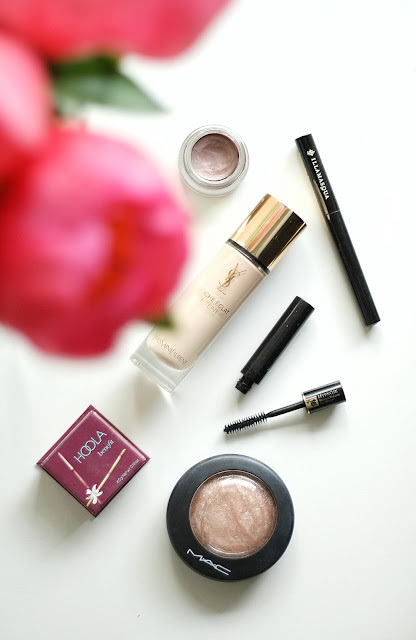 As previously metioned in my April’s best bits blog post, I hosted a makeup masterclass with fellow blogger Lorna in collaboration with House of Fraser. We were both very taken with the products used by Immy from YSL that we ended up spending a good portion of our afternoon after the event browsing the counter, swatching and testing various products from the brand. During the masterclass a variety of different products were used on my face but there were two in particular that I was really impressed with. Today’s post I will be focusing on one of those products, their Touche Eclat foundation. 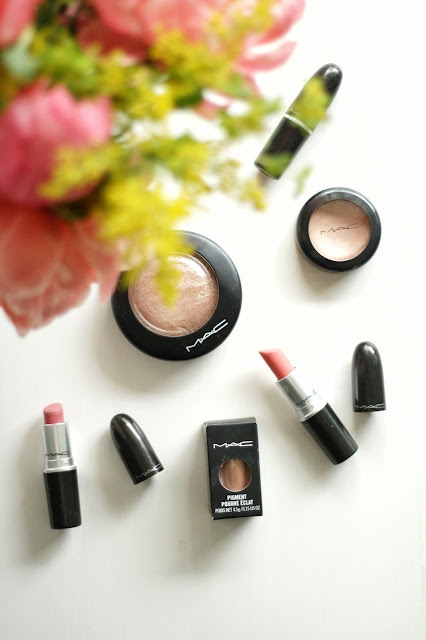 Having only dabbled in the brand via their lipsticks I was very exciting to try their foundation. Having never tried any of their base products before and not really reading too much about them, I literally was going in blind. I didn’t have someone elses opinions already in my mind from reading their blog or watching a youtube video. The masterclass was time for me to form my own opinion of the product, and it was love from the moment it was applied to my skin to be honest! First things first, the touche éclat foundation comes in a very large shade range (22 to be precise), which is a great because I love brands that offer a nice diverse range of different shades for everyone. The consistency of the YSL Touche Eclat foundation is very fluid, which at first is a bit scary when you pump it onto the back of your hand is it may run a bit. However this works well given that you hardly need to use any. One pump of the stuff is more than enough to cover my entire face. Because its so liquidy (?) it blends beautifully into my skin with minimal amount of effort required. YSL has reformulated this foundation since its initial release back in 2012. It now contains ingredients similar to those in the Touche Eclat pens, helping to improve your overall appearance, ensuring your skin looks less tired and more brighter and awake. There are light diffusing properties within the foundation that help combat this, so after my base was applied I was left with a flawless glowy base, without feeling like I really had any makeup on, its that light on the skin you can barely feel it! With its beautiful glass packaging and its £32.50 price tag, it is indeed a luxury product which I will admit looks beautiful sitting upon my dressing table! But I do think the price is worth it, especially considering that I know I won’t be using it up quickly. Unlike other foundations I have tried without a pump, you can control the amount of product you use easily, and like I said you could possibly even get away with using half a pump of the foundation to cover your entire face! YSL are happy to give out samples of this foundation if you go along to the counter. I would recommend doing this because you will be able to get colour matched correctly. When spending over £30 on a foundation you want to make sure you get the right colour for your skin. The sample is a generous size which may even last you 7 days. I actually got a sample from Immy on the day, but then about 15 mins after she handed it to me, I just decided to go ahead and buy the full sized bottle too! That tiny sample lasted a week before I needed to use the real deal, So it’s worth getting one to try out before you buy as you know you can get a few uses from it before deciding if you want to make the splurge or not. Have you tried this foundation before? Maybe you’ve used something else from the brand? Let me know in the comments. It's May, the bluebells are out, the sound of the ice cream man echos the streets and the sun is making a more regular appearance. It's safe to say now really is the time to start thinking about our Spring wardrobes. I am a Serial wearer of the colour black. Black isnt' exactly spring like is it?! So with that in mind I headed along to the Oracle Shopping centre on the Bank Holiday weekend to take part in their Your5 event. Focusing on 5 key pieces to include in your wardrobe this spring. I figured why not go along, speak to a stylist and see if they can convince me into purchase something that isn't black or a pair of jeans/ oversized t-shirt for a change! The 5 key pieces they focused on were; The cropped trouser, The Shirt, The Jacket, The Sneaker & finally The Silk. Now lets start off with the cropped trouser shall we? Being a short gal I do shy away from the crop trouser if I am honest. I feel like they aren't really for me. However after having a discussion with the stylist, she suggested trying a cropped trouser paired with a heeled shoe for a more formal look. Then alternatively opting for a pair that would work well rolled up a bit to show off a little more leg, making them more appropriate for more casual looks with flats. Below are a few styles I saw on the day which I liked the look of. I think I will take a look at a cropped trouser, something casual I could pair with a Tee and converse would be right up my street! Shirts are great because they are so versatile, you can wear them for a formal event/work, pair them with some jeans for a more casual look, or even layer them up over a cami top and leggings if its too hot for a jacket. A good shirt is an essential in your wardrobe! I was instantly drawn to the pale blue striped number below which turned out was from New Look for the bargain price of £14.99. I actually headed straight to New Look after my consultation and purchased it! 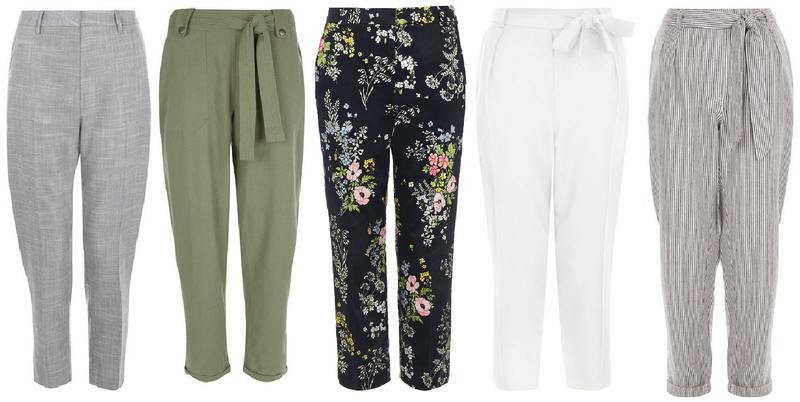 I do feel like I am channeling Pyjama chic when wearing it, but it isn't black - a small splash of colour for my wardrobe! When it comes to jackets, I currently live in my Leather Zara one I purchased in March. However I know as the weather warms up a bit I'd need something a little different as a leather jacket may be a bit too heavy. Bomber jackets are a very popular choice at the moment as well as western inspired pieces with a bit of fringe. Jackets are great way to jazz up a relatively simple outfit. Perfect for a girl like me who lives in jeans and a plain T. I spotted a couple of different styles while at the Your 5 event that could be potential additions to my wardrobe! One of the key pieces for your spring wardrobe was titled 'The Silk' now this could have been applied to a number of different items in your wardrobe, but after speaking to my sylist, she recommened looking for versitile items that you could mix and match with other pieces. Making the item perfect for both day and night. Thinnk brightly coloured camis, pleated midi skirts and playsuits. I explained to my stylist that I would probably try to introduce a couple of camis as I do feel they are staples inmy wardrobe, especially when the weather gets a bit warmer. Metallic Pleat midi | Double strap cami | Side tie Tunic | Playsuit. Finally we have the sneaker, a piece I've become relatively interested in of late. In the colder months I live in ankle boots, however when the sun starts shining its a good idea to have a nice selection of alternative footwear to step out in. You'll know that I was recently gifted a pair of White Kurt Geiger Lyons, which now a staple in my spring/summer wardrobe. However I think I need to inject some colour in somewhere, and what better way to do it than with shoes. Has there been anything in this post that takes your fancy? I will be taking these 5 points into consideration when I next go on a shop to update my wardrobe. If you are local to Reading, all the pieces featured in this post can be found in The oracle shopping centre if you prefer going in store than ordering online! What are your spring wardrobe essentials? let me know in the comments. There's no right or wrong way to blog, however there are certain aspects of blogging that some are good at and others aren't. There are trends, habits and routines that can make a blogger stand out from others, which over time other bloggers may pick up on and start doing them themselves. It's nice in a sense that this brings a bit of communal feel to the blogsphere, where everyone feels inspired by one an other to implement these into their own blogs. There are times though that some of these habits/procedures aren't attainable for some, including myself. 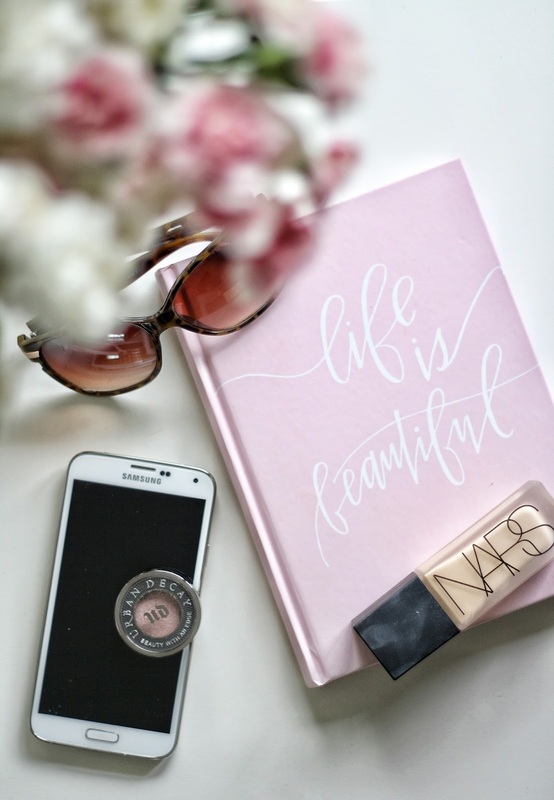 I thought I would share with some of the 'done' things in blogging that I'm not so hot on.. There are accounts I follow where all the photos are similar in style, whether it be the photographs themselves or the way they have been edited. I am a fan of a themed instagram account, I just cant do it myself. 1, I am pretty bad at updating my feed anyway. 2, Frankly I cant be bothered with all the faff when it comes to editing. It does look good when an account has a theme, and I'm sure it is beneficial when it comes to gaining more followers on that particular platform, but it's just not something I personally want to do.. You'll notice on my feed that there's no set colour scheme or style of photos I like to post (when i remember) its all a bit of a mish mash, that's how i like it to be. I feel its a little more realistic and there's a lot less pressure to ensure that the photo 'fits' with the look I am going for. I used to be really active on twitter, now I'll go days without tweeting anything! I'm not sure what has changed but I know I do need to rectify this one. Twitter is a great platform to share posts from your own blog and others, connect with your readers and other bloggers a like. There are twitter chats that a lot of bloggers contribute to which can be really helpful depending what the topic is. Twitter is one that I'm currently having a bit of a moment with! Photography and blogging has evolved. The flat lay on the Cath Kidston inspired duvet from Ikea just wont do anymore. These days blog photography could easily be mistaken for an editorial photo in a magazine. I do try to mix up my photos with a couple of props here or there; note books, some flowers, other products. But I've noticed of late that the 'done thing' is to have a wide variety of different bits and bobs. Think Marble, copper, gold letters, textured papers, decorative homeware pieces the lot. Maybe I need to expand my range but at the moment it's just something I don't do and I end up re using the same 'props' over and over again..starting to worry its all a bit samey! In my opinion when it comes to new releases there are 3 types of bloggers. Those who are fortunate to have a good relationships with brands/PR and get sent the new realeases for review. Those who rush out to purchase them as soon as they become available, and then finally there are bloggers like myself, who observe from afar and end up purchasing them to try a week or months down the line. Some I'm not even that phased by! 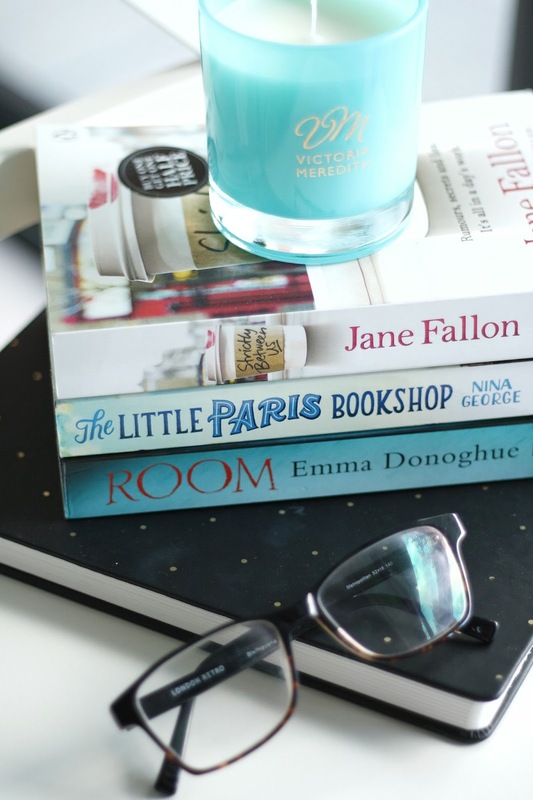 I have friends who don't blog that ask if I'm loving the Jo Malone fragrance Fleurs raving about or the Charlotte Tilbury Lipstick Zoe Sugg is coveting. I do think that some people outside of blogging just automatically assume you covet whatever is popular or new, especially in the beauty community. Like everything else, we all have our own different tastes and what you may be coveting is not what I am. A blogger trait that would be beneficial to my blog but I just don't do it. I forget to be completely honest. It's something I do need to work on and I plan to do so by creating myself a little checklist to do after I hit publish on a blog post. Saying that Pinterest offers a wide range of printables to help with all sorts of blogging tasks, so worth a look if you want to become a bit more organised! Tell me I'm not the only one? What blogger traits/habits are you not good at? 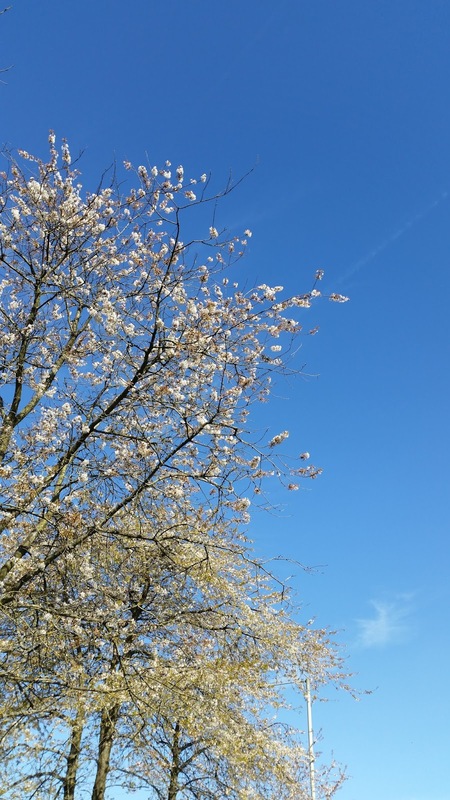 It's official 'spring/summer' is here! Are any of your sporting some questionable tan lines after this weekends spat of sunshine? I was sensible and didn't get burnt... opting to top up my fake tan instead (FYI Bondi Sands is my new favourite tanning brand) When the weather turns it makes me realise how limited my wardrobe is when it comes to dressing for warmer weather. I've said it before I prefer to shop for the autumn/winter months because layers are my friend! When the sun starts shining and the heat rises I panic, I never seem to be able to find a suitable outfit! I'm not one to buy clothes often, so I do like to purchase items that I can use both in the warmer and colder months. Versatile pieces. I don't think I'll ever be that girl with the perfect capsule wardrobe, but I'd like to think I own a few keys pieces that will work whatever the season! The most recent trend seems to be white trainers, with Addidas Superstars and Stan Smiths heading the front of the pack. Spring./ Summer seems to be about the trainer, so when Kurt Geiger asked me to pick some shoes from their website I knew I would go for something I could wear both when its a bit grey and dull but would also look great paired with a tan! I've eyed up shoes of this style before, but they've never had the extra details these pair of white Lyons* have. I love the star print. It's something a bit different without them being over the top. They wont distract attention from your (probably) carefully planned outfit. But are still eye-catching enough in their own right to make a statement. I haven't worn shoes of this style since I was probably 18, and those were a pair of black and white checked vans! Regardless I've found them to be a welcome addition to my wardrobe, it's nice to wear something other than converse when I'm having a more casual day. The bright white looks great paired with the currently limited, summer dresses I own, as well as looking great with a pair of denim cut offs and a simple tee! 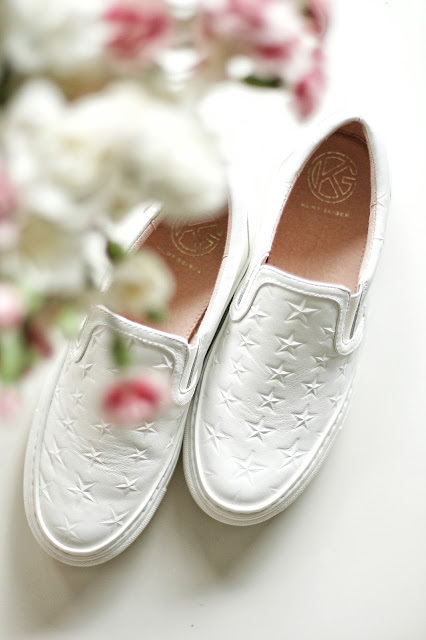 Will you be purchasing any white footwear for the summer months? It's been a while since I did a book related post. I have been a bit on and off when it comes to reading recently. With my Goodreads App informing me I am 1 book behind on my reading challenge for the year I feel like I need to get a move on! I'd like to be ahead of schedule idealy! I digress, this post is about a few of the books I recently read. A little bit of a mix, heading back to my original book reading roots with some chick Lit thrown in! So lets get stuck in. A YEAR OF TAKING CHANCES by Lucy Diamond. Like I said I decided to go back to my roots and read a little bit of Chick Lit again. I find this genre so easy to read and although I am slowly branching out to other genres, if I want something that to be honest, doesnt require much concentration i'll opt for something of this nature! A year of taking chances tells the story of 3 women who's friendship develops over a chance meeting at a New years eve party. They vow that this year will be there's, they will own it. However over the course of the year things don't go as planned for the 3 of them. Curve balls are thrown in each of the girls direction, leaving them to make some tough decisions and reevaluate some of their life choices. Sounds very serious I know but it's a very enjoyable read that does touch on some rather serious subjects without making you feel like 'urgh well this is all a bit negative'. It's a book that moves well, it was one I was excited to keep reading to find out how each of the women would over come the different hurdles they were facing in their lives. I think I've probably made it sound really serious and negative, but I think the main thing that I took from this book is that no matter what the situation, sometimes you need to just be a bit ballsy and just go for it. Think about yourself and what you want, don't let others dictate how you live your life, if you are unhappy make the changes and take the chances that are thrown your way. EYE CONTACT by Fergus O'Neil. This book was one I received in my Secret Santa Book swap. I quite fancied reading a crime book so decided to get stuck in to the first of the Two books Jenny gifted me. This is a crime book where we know straight away who the Killer is. It's game you see. If you look Robert Naysmith in the eye at the wrong time, you wont know it but you have a 24 hour head start before he comes after you. To kill you. This alone kept me gripped throughout. How would you be able to track down a complete stranger who just happened to look at you 24 hours after your paths crossed? intriguing no? Then we have the detective assigned to the case, Graham Harland. The task of tracking down a serial killer who has no real pattern to the killings, selecting people at random makes an exciting read from both the killer and the detectives point of view. If you are a fan of crime/detective thrillers then this is a serious I recommend starting. It really keeps you on your toes and is another book I was keen to find a moment to read the next installment! First I will admit that I went into this book blind having only read the blurb. Second I will say that I think that is how everyone should approach this book! Which makes me wanting to do a little summary here for you all quite difficult! Fortunately for you, the 'twist' so to speak is revealed fairly early on in the book. 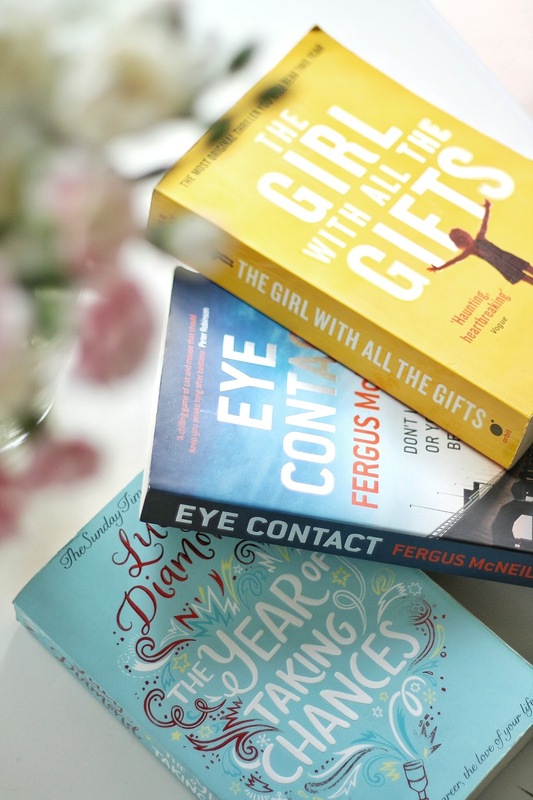 The Girl with all the gifts ended up being a book about something that hadn't even entered my thought process when reading the blurb, which made it an interesting read! Despite this, I thoroughly enjoyed it and it is a definite page turner. I was very keen to get through this book and despite my slowish progress documented on goodreads when reading it, if I had a spare moment I picked up this book and read, even if it was just a chapter because it gripped me that much! Have I made you want to read it yet? haha. You'll understand why I'm so secretive if you do decide to give this one a go! What have you read recently? Are there any books you think I may like? Let me know in the comments! If you fancy being my friend on Goodreads, you can add me as a friend here. - At the start of the month (the 1st actually) fellow Blogger Lorna & I hosted our first ever makeup masterclass with House of Fraser in our local store. Completely nerve racking having to do a bit of public speaking but despite the initial nerves I had a really good time. I kept it quite quiet as I was so nervous and in hindsight it probably would have been a good idea to tell my close friends and family it was happening so they could come along and support. Maybe I'll do that if/when we host another event. The event focused on two brands. Urban Decay and YSL. Lorna had her eye makeup done by Urban Decay. Resulting in a smokey look with a touch of sparkle. Perfect for a night out with the girls.I had my base applied by Immy from YSL... Safe to say we were both really taken by the products from YSL and ended up spending a small fortune on their counter! - More on that in another post! - It was Tom's birthday this month. We headed to London for a weekend stay starting with a trip to the O2 to watch Muse. The show was really good. I only knew a handle of songs to be honest but the show itself was brilliant! Very visually pleasing which I think is what they aim for! The following day we headed to the Harry Potter studio tour which was something Tom and I had wanted to go to for a while. It really is worth the £35 ticket price. We easily spent nearly 3 hours there looking at everything. Yes the gift shop is rather expensive so we only purchased a couple of souvenirs. Highly recommend visiting if you are a HP fan! - Tom ran (and completed) the Reading half marathon this month which made me one very proud wife! Since then he's signed up to various other runs taking place locally which has spurred me on a bit to possibly entering a few myself (Espesh if I get a medal after!). I wont be covering distances as far as a half marathon, but I can see myself doing a few 5k's to ease myself in! I did a 8k run for Charity back in October and I did actually enjoy it despite being quite poorly at the time. So I just need to get my fitness up a bit again and get stuck in really! - Apart from the YSL purchases I made at the start of the month I don't think I've got any other new makeup to mention. This month has been about switching it up a bit and dragging out old favourites to give them a bit of time in the spotlight. It's nice to shop your stash every so often! What did you get up to in April, any highlights for you? In order to switch up my skincare routine a bit I've been trialing a few different types of Cleansers recently. I've always opted for the Hot Cloth Cleanser variety, however I knew there were others on the market so it was only fair I gave them a test run too. As mentioned in a previous post discussing my Skincare routine I purchased the Sanctuary Spa Ulitmate Cleansing Oil from boots over my usual Soap and Glory one. As I said before it works really well at removing my makeup combined with a flannel soaked in warm water. Even getting rid of stubborn mascara! After continued use I can confirm that I am a big fan of the oil cleanser. Not only does it work well at removing any makeup from my face. It leaves my skin feeling really nourished and soft! I find with an oil cleanser you can use a small amount of product each time you wash your face. By applying it to dry skin, then combining the oil with water extends the product making you less likely to use too much per cleanse. I've had my bottle ages now and it's still going strong. So cost per use wise it's a really good investment in my opinion. If you havent tried an oil cleanser before then I highly recommend you give them a go. They remove everything! Next up I have a Yes to Cucumbers daily Gel Cleanser*. I haven't used a gel cleanser before so wasn't sure what to expect. You wet your face with warm water, then apply the gel cleanser to it and massage it in to remove all makeup. I feel that gel cleansers work the best with a cleansing brush though to be honest. Whether you have a hand held manual one like this one from The Body Shop or an electrical one like the Magnitone or Clarisonic. I tried it with my Magnitone and I personally felt that I got a better cleanse pairing it with the tool rather than using my fingers to massage it into my skin, so that is something to bare in mind. (Although different methods work for different people) It is a really affordable product at £6.99 which you can purchase from Boots or ASOS. Finally I've been trialing out the Temple Spa in the beginning deep cleansing melt*. A balm cleanser with a bit of a difference as it has exfoliating beads in it. You apply it to damp skin, then with circular upword movements you gently massage it in. The exfoliating beads will gradually disappear leaving you with a really nice scented balm to continue cleansing your face with. This product feels the most luxurious of the 3, given that its presented in the glass tub too! With a very Spa-like feel to it, you can also use this cleanser as a deep nourishing mask if your skin is feeling particularly dehydrated. Just massage it in but leave for 30 mins before washing off. I do like that this has a two different uses as it is on the more pricey side. After continued use my skin did in fact feel very nourished. I felt like I was having a mini pamper sesh every time I used it to be honest! It's one I would recommend if you fancied a bit of a treat. It works really well at removing all my makeup and I go off to bed feeling like I've given my face a bit of TLC in the process. I think for everyday use my favourite would have to be an oil cleanser, its probably the quickest and most efficent type of cleanser that removes my makeup as well as leaving my skin feeling great. A balm cleanser is nice for a slightly more Luxe experience in my opinion, so I wouldn't rule that one out! Gel cleansers I dont think are for me. To be honest they just remind me a bit of regular face wash if Im honest. Nothing too special, but like I said they do a great job combined with some form of facial brush! 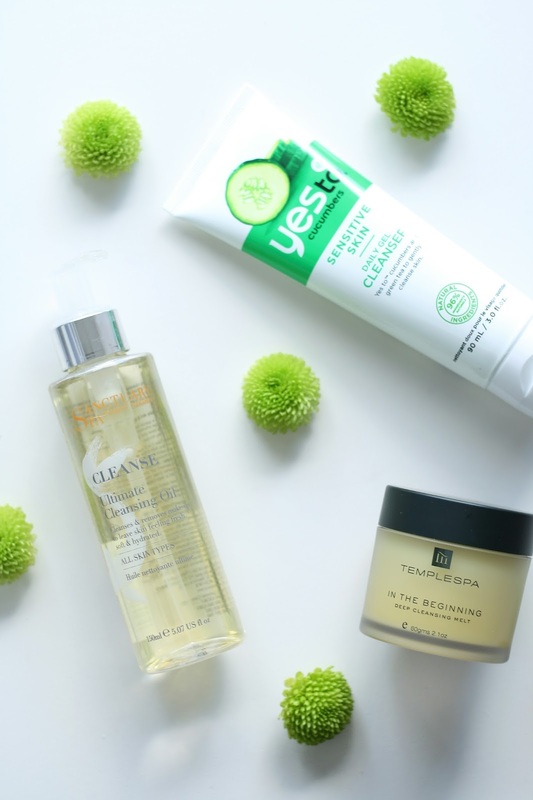 Have you tried any of these types of cleansers before?